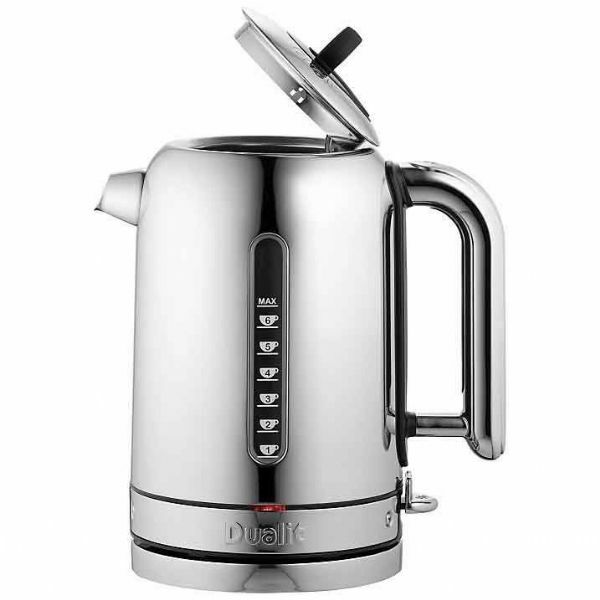 Dualit are experts at making the very best kettles and the Classic Kettle is no exception. It is the perfect partner for Dualit's iconic Classic Toaster and shares the same characteristics of ingenious features, reliability and timeless styling. 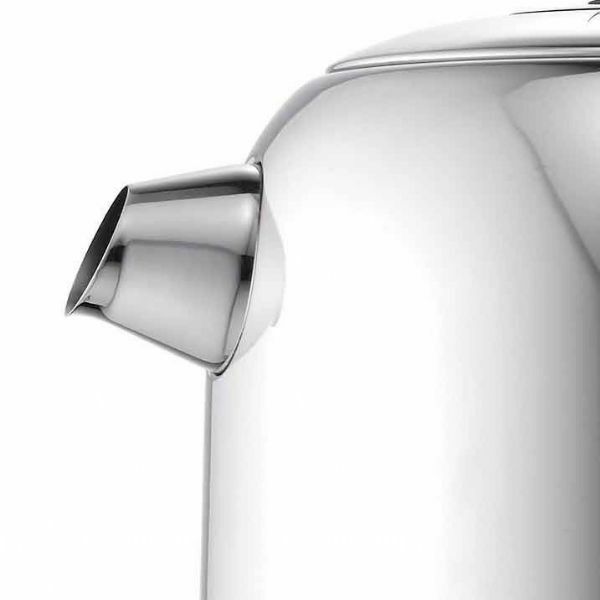 Different colour accents are highlighted on the lid and handle for an elegant finish. The Classic Kettle features a ground-breaking replaceable element that lengthens the lifespan considerably, whilst the Whisper Boil™ drastically reduces unwanted boiling noise. The Dualit Classic Kettle is fitted with a superfast 3KW element, making for quick boiling time. It will boil enough water for two cups in less than a minute and a half. Two measuring windows with cup level and litre indicators help you to boil only the amount of water required from one cup to 1.7 litres. 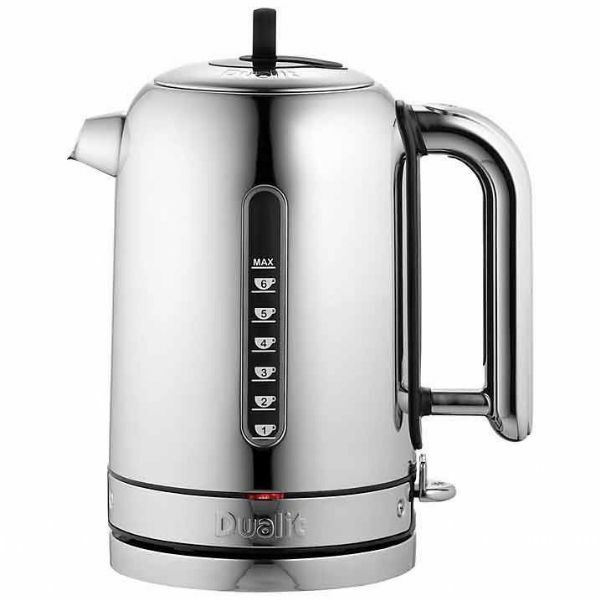 A non-drip spout, durable hinged lid and anti wobble feet makes this kettle a dream to use. Cordless operation and a boil-dry safety cut off ensures easy maintenance and convenient use.